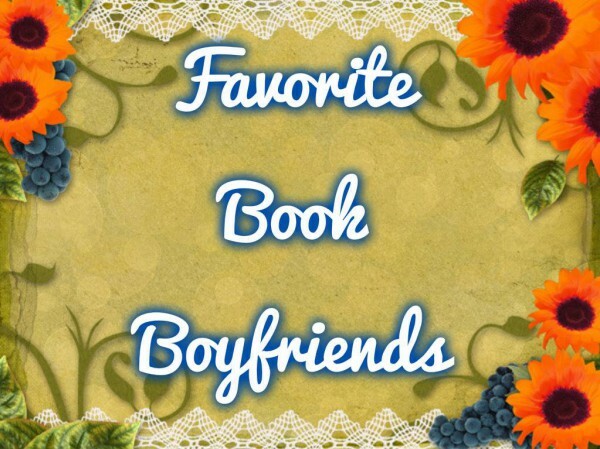 Just a blog about books I am currently reading, authors I love, and great reading meme's. 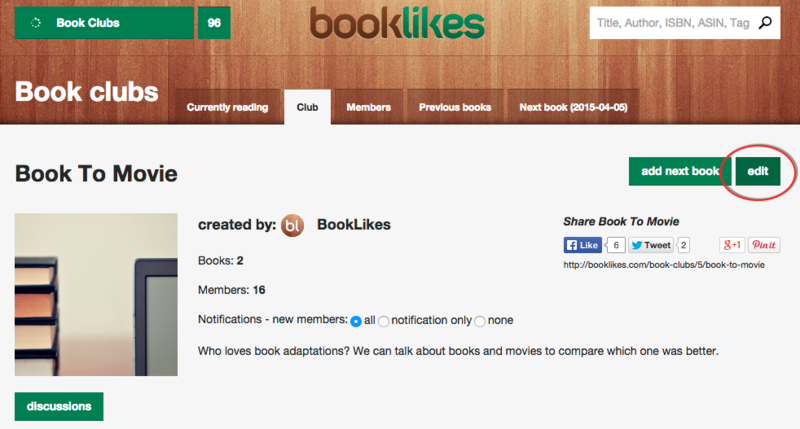 We were delighted to learn that Book Clubs are becoming a new big thing on BookLikes! This is why we’ve spent some time brainstorming how to enhance its settings so that your heated discussions can run smoother! Deciding what your next big Book Club discussion is going to be about is crucial, but there is so many options out there that, at the time, its seems impossible to choose. This is why we are introducing a new voting tool that will help you to discover the preferences of your club members. 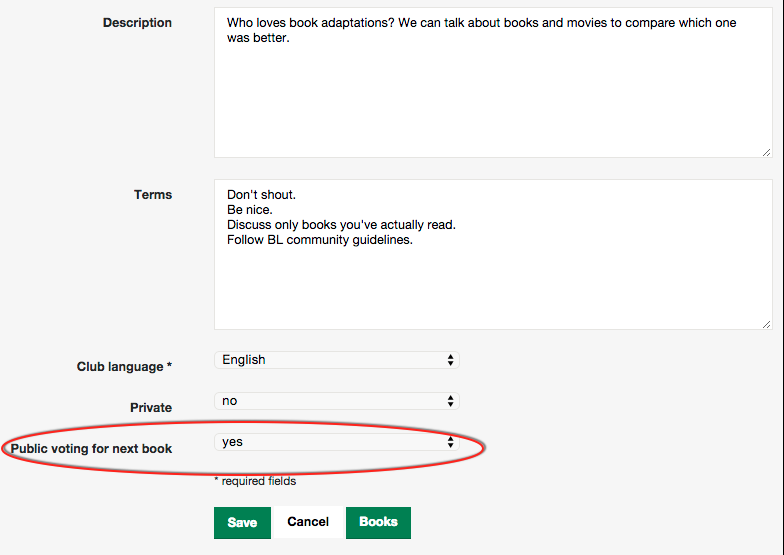 Scroll down and at the bottom of the page you will see Public voting for next book option. Select Yes if you’d like to start a voting. Remember to save any changes. The results will appear once you move to Next Book tab. 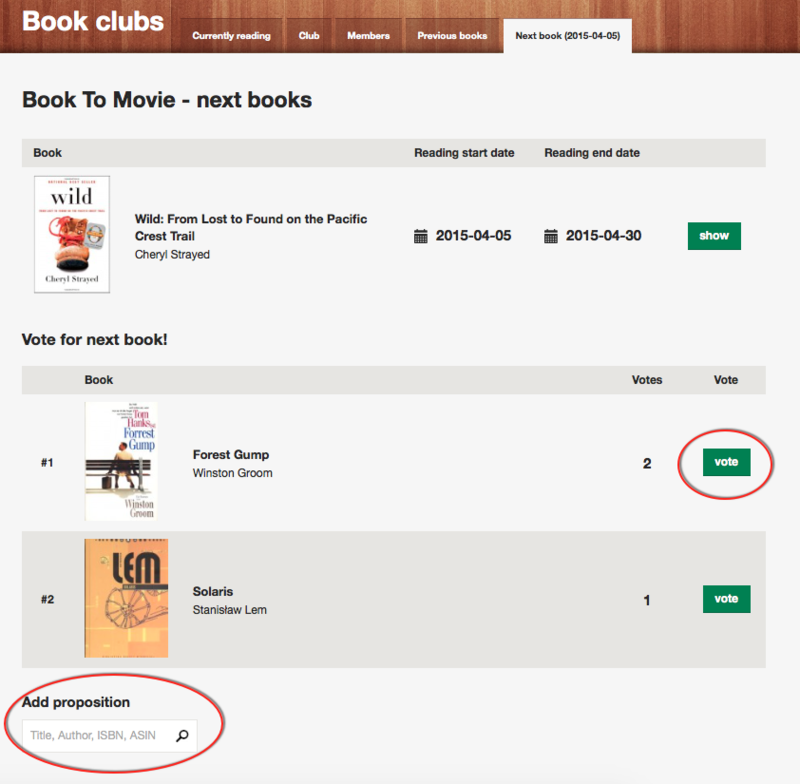 Club members can add and remove their votes by clicking the right button. 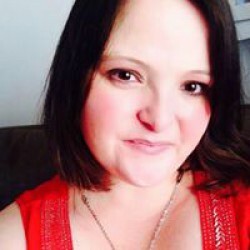 Conveniently, all the Club members will find a search box at the bottom of the page, books can be tracked by Title, Author, ISBN, ASIN and tag. This isn’t the only new arrival today though. Now, you will be also able to decide which notifications, if any at all, you’d like to receive about the new club members. Enjoy your Book Clubs and if you do not belong to any, why not joining our BookLikes flagship Books to Movie one? 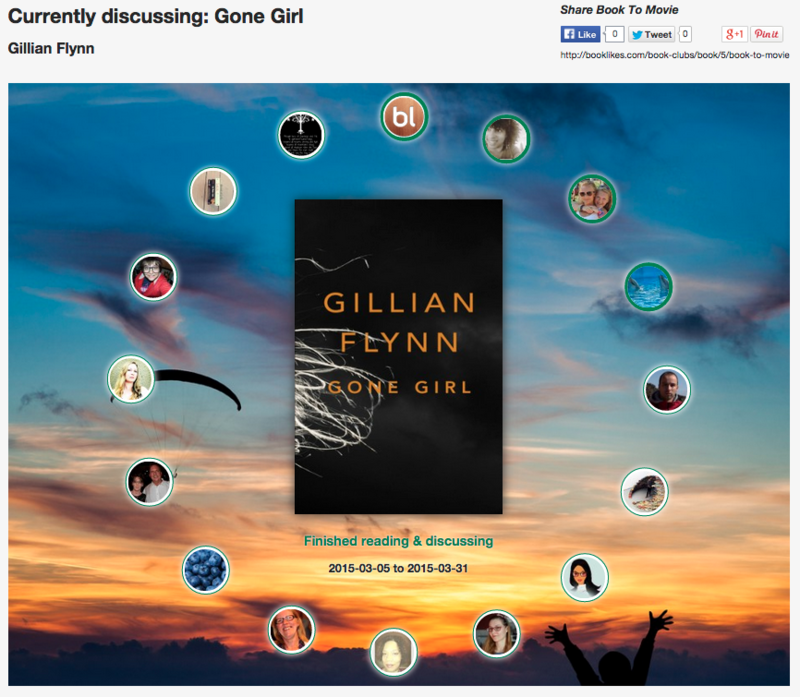 We're discussing Gone Girl at the moment. We’re deciding between Forest Gump and Solaris next, what do you say? 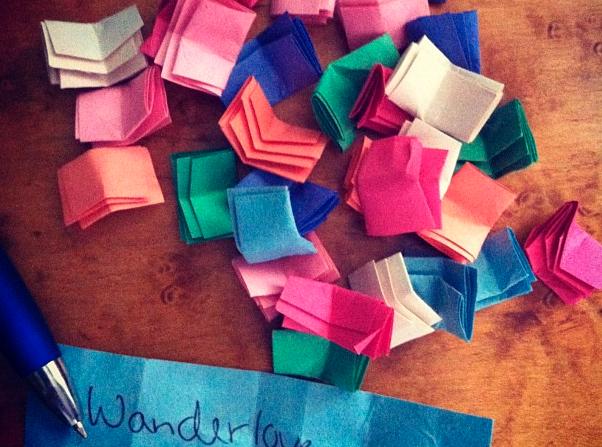 If it's none of these, why not adding a choice of your own, share your ideas for the next read with our Book Club.